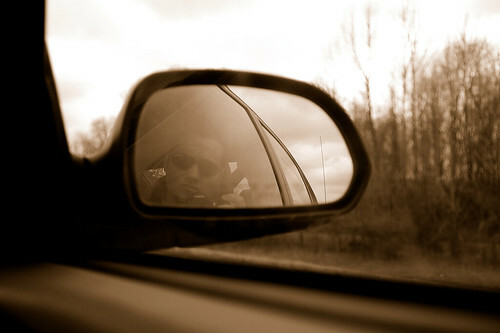 My face sepia-fied in Joe Thorn's passenger side mirror on the way to Tennessee. Man, I'm looking forward to getting home. Great trip, but I miss my family.